Day two of the Global Animal Law Conference starts with Prof. Heron José de Santana Gordilho introducing Panel #5, which will cover international topics from South Africa, Spain, and Australia. 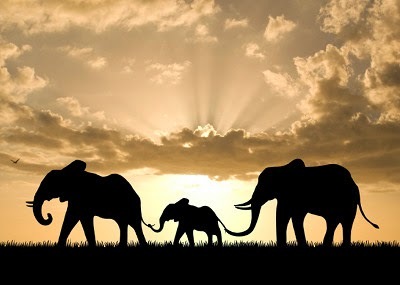 Although these inspiring words were pronounced, the drafters of the South African Constitution 1996 included no express mention to the interests of animals. So any protection must be implicit in the exiting provisions; this oblique approach has set the trend for the relationship between the law and animals. If the interest of animals continues to be ignored, legal actors contribute towards the blindness of many human beings to their value and importance, limiting what could be achieved in advocating for better protection. Therefore, litigation and advocacy need to develop a strategy to ensure that animal interests are expressly mentioned by the legislator. Will there be a constitutional revolution for animals? Much is unexplored in the new constitutional framework for animals (access to information, administrative justice). The constitutional revolution is sought to shake up the legal system and re-consider some of its basic assumptions. The CC has clearly emphasised the need to challenge arbitrary categorisations and to protect the vulnerable in society. Implications of these important holdings have not properly been applied to animals and the protection of their interests. It is time for a change! 1. What is the importance of the reclassification of animals as things to animals as sentient beings? 2. Which legal texts have introduced animal sentience as a policy strategy? 3. What can we hope from the cooperation between veterinary scientists and jurists? The most European codes still classify animals as things. The idea that animals as things can be used and abused comes directly from Roman Law. The concept to "have the most absolute use" is founded in the Napoleonic Code. We are now in a phase or reconceptualisation of animals as sentient beings, which reflect the scientific advances and citizen pressure. The expression of sentient being as a standard for regulating animal well-being is being finally implemented in many European legal texts. It is the key to interpret and analyse reality and apply this reality to the legislation. The real application of this expression is still weak though. The transition to sentient beings is centred, or to better say, was born with the art. 13 of the Treaty of Lisbon in 2009. For the first time animals are recognised in this text as sentient beings, before they were considered goods. Following this there are 3 schools to interpret art. 13 of the Treaty of Lisbon. According to the first point of view the treaty does not contain any constitutional elements. In contrast, the European Court of Justice has recognised the treaty as having constitutional elements. Thirdly, in view of other authors it is considered a post constitutional treaty. Consequently the legal interpretation shows that is is a treaty with constitutional elements and animal welfare is an ethical element in the treaty of Lisbon. Some countries have already (even before the treaty) transformed animals from things to non-things, such as Austria (ABGB 1998, Constitution 2004), Germany (BGB 1990, Constitution 2002), Switzerland (BGB 2000, Constitution 2004), and Catalunya. Very important is the relation between veterinarians and lawyers. Why? If science has created the concept of sentience and we, the jurists, have adopted this concept in a legal context we have to pursue more cooperation between us. In science the discussion is oriented to find the best living conditions for the well being of animals. On the other hand, legal discussions do not worry about this optimum, rather on which conditions go over the frontier of criminal acts, of civil law violations. We ask ourselves what goes beyond the red line. So the difference between science and law is that science seeks the good conditions, law the bad ones; we have to gap this bridge. Science focuses on the animal, law more on the political process, but this process must take into account social values (socially acceptable levels of animal welfare). The fair relationship between humans and animals is one of these values. Scientist can provide significant aid to the debate by providing accurate information about animal welfare; lawyers can contribute by providing flexible concepts. The third speaker, Prof. Alex Bruce, introduced the problematic of the "Australian Live Animal Export Industry". What animals does Australia export, where and to what scale? Australia is one of the world´s largest exporters of meat. The reason why is that the Asian market is booming, causing a huge demand for meat and Australia is trying to cash in to export more animals. The main importers are Indonesia (at number one), China, Israel, Vietnam, Malaysia, Russia, Philippines, and Japan. 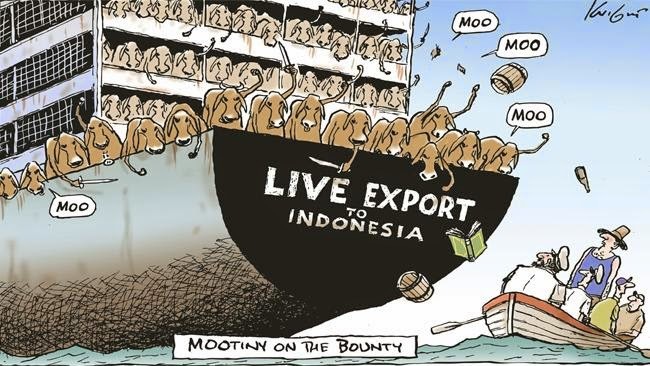 But most of these countries do not have the infrastructure to stock frozen meat and in many muslim countries they want only live animals because of ritual slaughtering, so this is why Australia exports live animals. 68% of these exported animals are sheep, followed by beef, and goats. The total value of the live export is of € 520 million for beef cattle exports, € 119 million for sheep, and of € 55 million for goats. Because of its geography the issues arising are many. First of all the distance to destination represents a big difficulty for the animals, related to the difference of hemispheres between Australia and importing countries, causing heat stress and a lot of on board mortality. There are also difficulties in creating animal welfare standards in importing countries, which in many cases do not comply with the international standards. Most animal voyages last weeks, animals are crammed one on top of the other, they are fed a pellet mixture before going on board, causing a lot of sickness on board, are often not fed anymore, suffer from the heat, and are then brutally treated upon arrival. Australia has inherited UK laws and there is no federal constitutional power to regulate animal welfare, therefore there is no Federal Animal Welfare Act. It is responsibility of the 8 states to regulate this matter. The Australian legal structure is a complex framework of hard and soft law. with a very uncertain relationship between Federal Statutes, Orders and Standards. Different standards of importing countries. To conclude the question is: why is there so much resistance to change? Cultural inertia! Australia has a long tradition in animal agriculture, which is embedded in the population´s psyche.